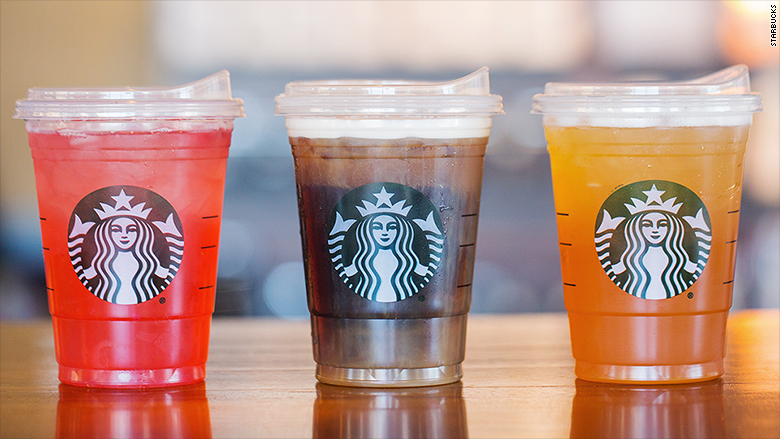 People cheered Starbucks' recent decision to ditch straws. But that's not always the reaction companies get when they introduce eco-friendly packaging. PepsiCo (PEP) unveiled a new biodegradable SunChip's bag in 2010 but had to retreat after customers complained that the packaging was too noisy. Just a year before, Kellogg (K) tested out cereal boxes that used less cardboard. But the redesign didn't take off. "Consumers are creatures of habit," said Allen Adamson, co-founder of growth strategy firm Metaforce and adjunct professor at NYU's Stern business school. "Any change is often difficult for them." A company must take several things into account when it comes to changing its packaging, like pressure from community groups and cultural and political trade winds. 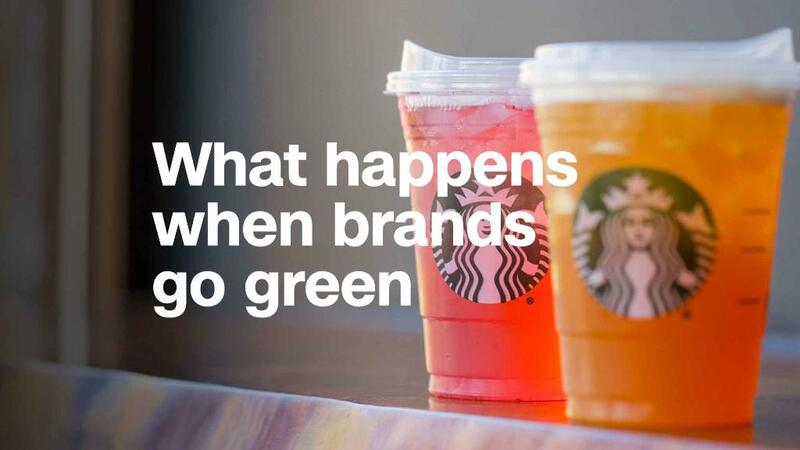 Starbucks (SBUX), McDonalds (MCD) and Dunkin Donuts (DNKN) have promised to phase out materials like plastics and polystyrene in the wake of a global movement against pollution. The United Kingdom, is moving to ban plastic straws to help save 1 million birds and more than 100,000 sea mammals that die every year from eating and getting tangled in plastic waste, is moving to ban plastic straws. Some US cities have started putting their own bans into place. 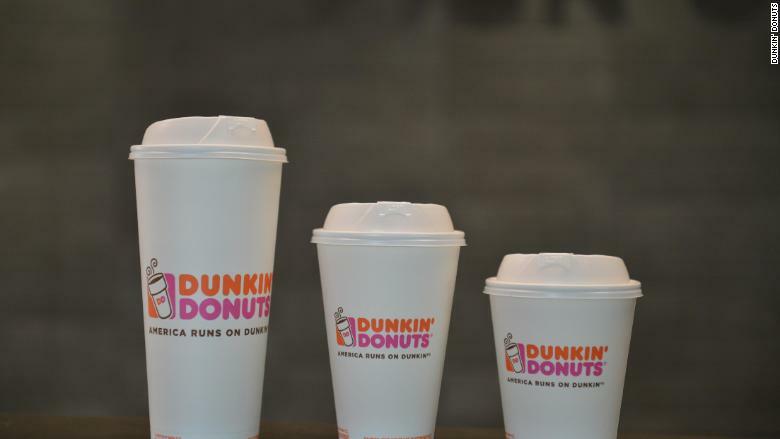 "There does seem to be a critical mass coming together recognizing the problems associated with single-use food packaging," said Eric Goldstein, an attorney with the Natural Resources Defense Council. "Americans still love fast food, but they want it to be safe for their families and gentler on the environment." Companies have to be careful not to scare away customers, especially at the grocery aisle. If customers see unfamiliar packaging in a store, they may just turn to a competitor. In 2009, Pepsi updated its Tropicana orange juice cartons with a new logo and an image of a glass of juice. Gone was the classic font and the familiar picture of an orange with a straw in it. Customers hated the new image and sales tumbled — so Pepsi quickly reverted back to the old package. "Consumers have an instant to recognize you," Adamson said. "Any change at shelf can have a dramatic impact." Food packaging is tricky, because companies have to get both the aesthetics and functionality right. Does the food look appetizing? Is the company telling consumers what they need to know? Customers will respond negatively to a package that is hard to open or reseal — or if it's too loud. Also in 2009, a rough year for Pepsi packaging, Pepsi's Frito-Lay division announced that it would start selling SunChips in biodegradable bags the following year. But when the new packaging hit the shelves, people started complaining that the bags were louder than a chainsaw. A year and a half later, Pepsi phased out the product from all but one flavor of SunChips and, later said that it was ditching the compostable bags entirely. Other efforts to switch over to more environmentally friendly packaging never took off. In 2009, Kellogg tested out shorter, squatter packages that used less cardboard packaging. In a release, the company called the new box "the most significant innovation in cereal boxes since the 1950's," and said that it could "potentially redefine the cereal aisle." That didn't happen. Modest changes may work better. Kroger has been quietly redesigning its milk jugs to use 10% less plastic than before. By the end of last year, the grocery chain switched to the new container molds in about half of its dairy processing plants. Kroger plans to fully convert to the new container in the beginning of next year. The changes to the bottle are subtle. Erin Sharp, the company's group vice president of manufacturing, said that the new bottle includes markings that show how much milk is left, and is a little easier to handle. But few people have observed the change. "At the store level, there's not been a lot of publicity around the packaging reduction," Sharp said. "For the majority of our customers, they really don't notice." It's easier for restaurant chains to introduce packaging changes than it is for companies that sell packaged goods, Adamson explained. After customers order food in a fast food store, they probably won't leave because they don't like paper packaging instead of a styrofoam. And if customers don't understand why their food is presented differently, an employee is on hand to explain why.